Navarra export catalogue - Triman Minerals, S.A.U. 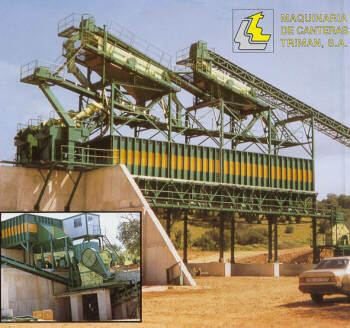 Triman is dedicated to the design and manufacturing of machinery and installations for pit and quarries. 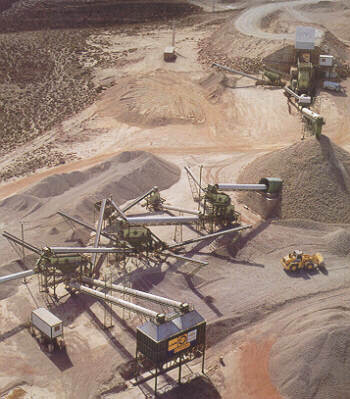 Our technical department with design equipment on 3 dimensions develops the installations for aggregates treatment. Our headquarter and manufacturing installations are sited in Alsasua (Navarra). In Loredo we have a new factory for metallic structures manufacturing. In Mieres (Asturias) we owns a foundry plant dedicated to the manufacturing of wearing parts. Triman´s turnover is the biggest of our sector, being present in the most important projects and public works.